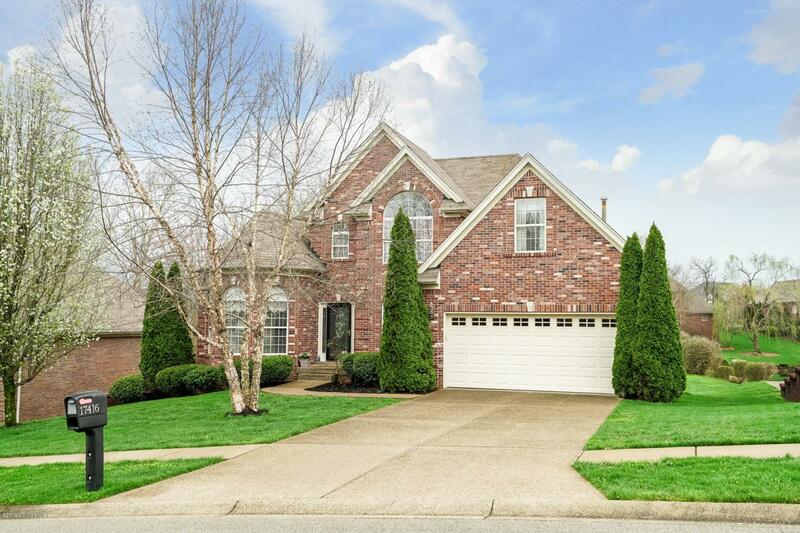 Don't miss out on this great home at 17416 Polo Run Lane! Featuring 4 bedrooms, 2 full bathrooms, 1 half bathroom, an attached 2 car garage and much more this home is ready for your personal touch. You will fall in love with the open floor plan of the main level as well as the gorgeous hardwood flooring that greets you at the front door. The eat-kitchen is open to the 2 story great room and also offers access to the formal dining room making entertaining a breeze. The family room offers a gas burning fireplace and beautiful views of the park-like setting in the backyard. The master suite is found on the main level and is very spacious offering a bay window (perfect for a sitting area), plenty of room for a large bedroom ensemble, an en-suite mater bathroom complete with soaking tub,separate shower, dual vanities, a water closet and walk-in closet. The 3 additional bedrooms are all very roomy and offer nice closet space. A second full bathroom is also found on the second floor. The walk-out basement is already set up with a family room and space for a game area and/or workout space and/or office but also offers plenty of room to expand in the unfinished area where you will find a rough-in for a full bathroom. Schedule your showing of 17416 Polo Run Lane before it is too late!